The new release from Lacoste and its L.12.12 collection is inspired by the yellow polo shirt. L stands for Lacoste, the number 1 symbolizes the Petit Pique material used, 2 represents short sleeves and 12 is the number of prototypes made before the final product. 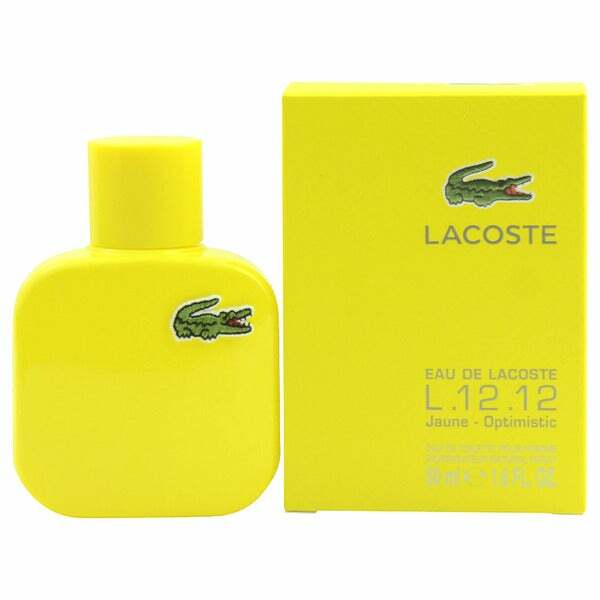 Eau de Lacoste L.12.12 Yellow (Jaune) is a scent that triggers optimism, joy and positive energy.Fresh and citrusy, aromatic fruity, it represents sunshine rays in a bottle. Opening with accords of grapefruit, it develops into the heart of Golden Delicious apples. The base is aromatic, woody, made of cypress accords. Size: 1.1 - 2 Oz.